The Landing has been an ama...Review From Modern Messagesubmitted by Debryah W. - Apr 19, 2019 |Recommended: YesThe Landing has been an amazing living area. I feel safe and I am extremely thankful for all the amenities that are available here. This has been the best experience thus far. This place is always kept v...Review From Modern Messagesubmitted by Danielle C. - Apr 12, 2019 |Recommended: YesThis place is always kept very nice and clean. Maintenance is very quick and always friendly. The noise level is kind of a downfall but other than that I have really enjoyed living here. The Landing has a plethora ...Review From Modern Messagesubmitted by Jamilla J. 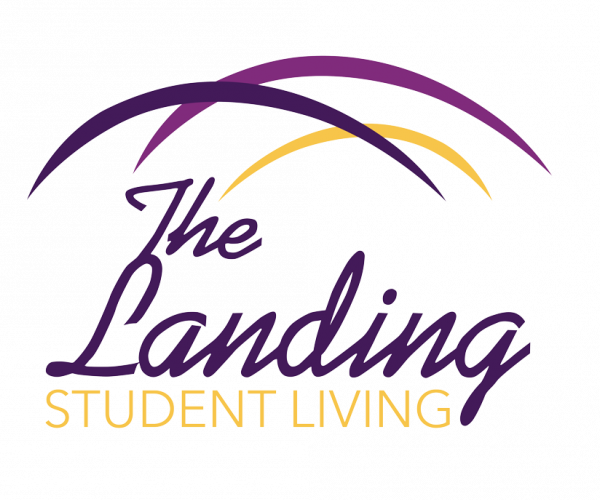 - Apr 12, 2019 |Recommended: YesThe Landing has a plethora of on site amenities and has been a great spot to live for me this past year of school. It’s location is close to class and all shopping centers I need to reach. Very good staff that seems ...Review From Modern Messagesubmitted by Janey J. - Apr 11, 2019 |Recommended: Yesvery good staff that seems to be organized and helpful. clean apartments that come with great furniture. the neighbor hood can be loud at times, but overall friendly and understandable neighbors. The gates are almost always...Review From Modern Messagesubmitted by Emma L. - Apr 11, 2019 |Recommended: YesThe gates are almost always broken so security is not as tight as they brag. Told me and my roommate the apartment would be cleaned before we moved in...it was not...at all. Took me almost the whole school year to actually get my reward that they promised me. It was only after many phone calls and texts that I finally received it. I look forward to living at...Review From Modern Messagesubmitted by Garrett R. - Apr 04, 2019 |Recommended: YesI look forward to living at the landing. The tour gave us a great idea of what it would look and be like. For the price, the luxury and overall nicness was definitely unmatched. Good place to stay but can'...Review From Modern Messagesubmitted by Queeney B. - Mar 30, 2019 |Recommended: Yesgood place to stay but can't complain about much. I like the landing. I have had a good experience while living here. just been good experience overall. The apartment is super nice...Review From Modern Messagesubmitted by Kailey B. - Mar 28, 2019 |Recommended: YesThe apartment is super nice and convenient for students, especially those who don't want to live close to town. The Landing has practically everything you need in a great location. The Landing is a really nic...Review From Modern Messagesubmitted by Elizabeth D. - Mar 27, 2019 |Recommended: YesThe Landing is a really nice place to live. I always feel safe, and maintenance does an outstanding job However, The Landing recently added multiple large speedbumps at the entrance exit gates, which if you have a low to the ground car like me, it will scratch the bottom even if you go extremely slow. Overall great experience li...Review From Modern Messagesubmitted by Courtney D. - Mar 26, 2019 |Recommended: YesOverall great experience living here. The price of the apartments are fair. The staff is friendly. Lots of community activities. The pool is my favorite amenity. I love the landing. compare...Review From Modern Messagesubmitted by Madeleine H. - Mar 22, 2019 |Recommended: YesI love the landing. compared to other student living complexes this is the best financially. I love that parking is free and there is no hastle with visitor parking. The only thing I wish I could change would be the location. I love living at the Landin...Review From Modern Messagesubmitted by Kaitlin S. - Mar 21, 2019 |Recommended: YesI love living at the Landing. Great place to live for your money. Everyone is so nice and friendly. My favorite part about living here is the tanning bed and the pool.